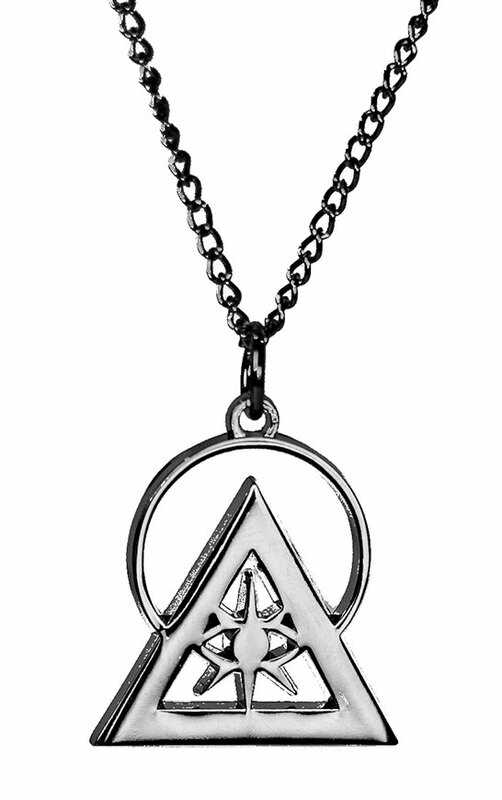 Polished black wood pyramid with the Illuminati Talismans in Gold, Rhodium, and Black. 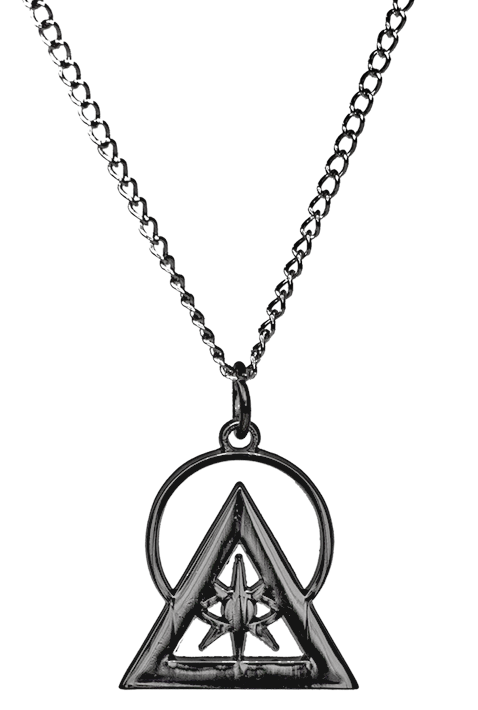 UPDATE: As a special thanks from our artists, all reservations will also include a free copper Talisman. 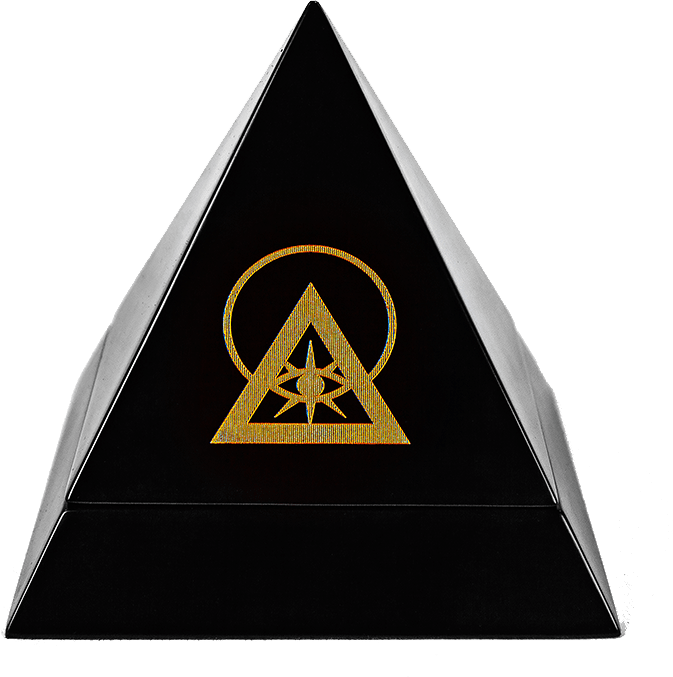 Crafted in polished wood with the Illuminati's symbol laser engraved on its lid, the Trifecta Elite pyramid holds the Illuminati Talisman in gold, silver rhodium, and black (available only in this edition). Millions of humans from all walks of life have experienced the Illuminati's symbol: the Pyramid, the Eye, the Light, and the Eternal Circle. These four marks have permeated human development for centuries, bringing clarity amidst decisions and guiding the lost to the Light. 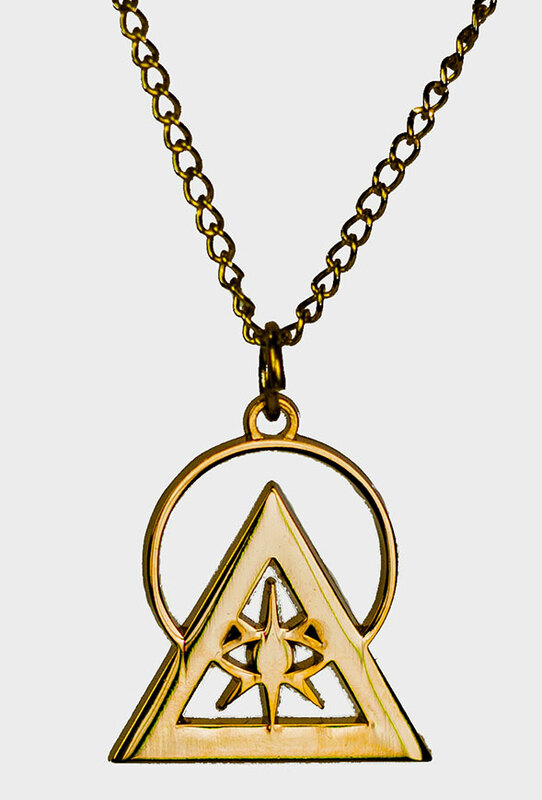 Since the start of the Illuminati's public outreach, the Department Of Distribution (DODIS) has offered citizens authentic items bearing the Illuminati's symbol and tools to aid all in their journey. After careful design and planning, DODIS is pleased to reveal our most stunning new item: the Trifecta Elite. 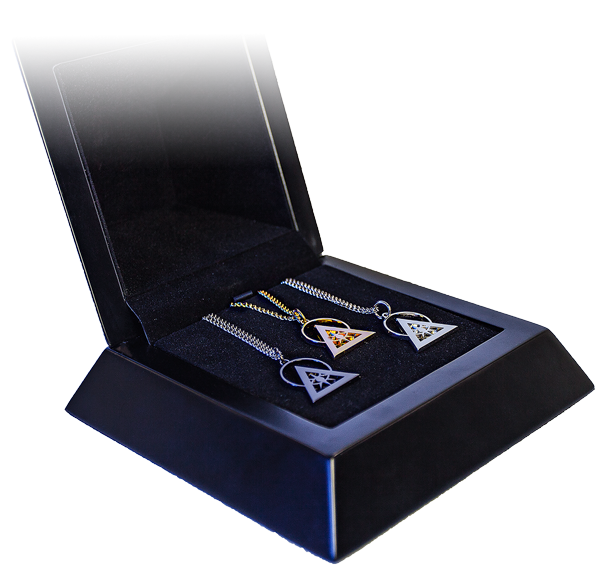 Wooden pyramid (5.5" x 5.5") + 1" Talisman necklaces plated in gold, rhodium, and black metal, plus a free copper Talisman. Items may contain zinc or nickel and are not recommended for young children.